▶  Capital Asset Management, Phoenix, has brokered the sale of two Henderson shopping centers —-The Horizon Ridge Shopping Center at 1651 N Horizon Ridge and the Gibson Road Shopping Center at 193 Gibson Road. The buyer is Diversified Business Strategies, LLC of Utah and the seller is 2010-1 RADC/CADC Property IV, LLC, a Delaware limited liability company, formed by Cohen Financial. The Henderson properties were sold along with the Lower Buckeye Plaza Shopping Center in Buckeye, Ariz. The deal was brokered by Jason Hersker, Stephen Herman, Scott Smith and Rachael Cisco of Capital Asset Management. Capital Asset Management has offices in Las Vegas, Phoenix and Los Angeles. ▶  Michael Boscia of MDL Group advised LV First Street LLC in its $630,000 sale of single-story, 5,040-square-foot office building at 917-920 S. First St. First Commercial Real Estate represented the buyer, World Investments Network, which bought the property as an investment. ▶  Will Chaffee and Paul Chaffee of NAI Vegas guided Barrister Global Services Network in its $700,000 sale of an office building at 3600 N. Rancho Drive. Project 150 501C3, a nonprofit that helps homeless and disadvantaged high schoolers, bought the 8,078-square-foot building. ▶  Grant Traub and Chris Connell of Colliers International represented Clark County Credit Union in the $520,000 sale of 5,652 square feet of industrial-warehouse space at 1600 and 1609 Stocker St. Larry Alfred Britz bought the 1.79-acre property. ▶  Jayne Cayton and Matt Kreft of Voit Real Estate Services represented landlord Dig Bt Way LLC in its 91-month lease of 8,195 square feet of office space at 3755 Breakthrough Way. Joe Anderson of Fortis Commercial represented tenant Fiesta Insurance Franchise Corp. in the $1.79 million deal. ▶  Dynamax Operations West Inc. leased 112,000 square feet of industrial space at 6585 S. Escondido St. in Las Vegas. Dan Doherty, Susan Borst, Chris Lane and Jerry Doty of Colliers International represented the lessee. ▶  Jarrad Katz and Galit Kimerling of MDL Group represented landlord Mojave 15 LLC in its 60-month lease of 24,184 square feet of industrial space at 1624 S. Mojave Road. Marty Martell represented the tenant, steel manufacturer Quality Iron, in the $566,631 contract. ▶  Robert Hatrak II of Virtus Commercial represented both tenant and landlord in a 66-month lease on 2,554 square feet of retail space at 15 Via Bel Canto in MonteLago Village at Lake Las Vegas. The landlord in the $280,940 lease was Signal Butte Investors LLC. The tenant was Essence &Herbs. 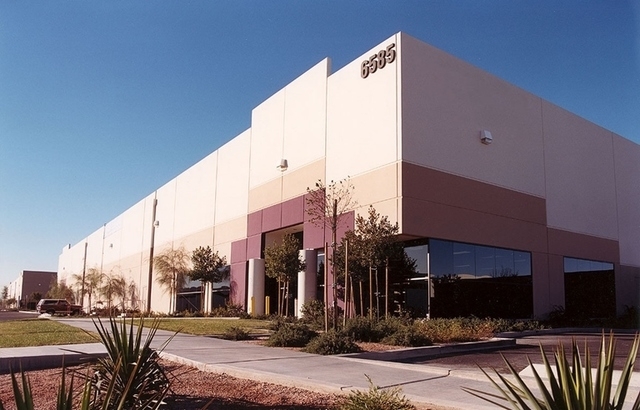 ▶  Nash Industries LLC leased 28,800 square feet of industrial property at 4751 Vandenberg Dr. in N. Las Vegas. Dan Doherty, Susan Borst, Chris Lane and Jerry Doty of Colliers International represented the lessee. ▶  2SL LLC leased 11,712 square feet of industrial space at 7465 W. Sunset Rd., Suite 600 and 700, in Las Vegas. Spencer Pinter of Colliers International represented the lessor, EJM Arroyo North I Property LLC. ▶  Desert View Remodelers LLC leased 4,694 square feet of industrial space at 4775 W. Teco Ave., Suite 120-125, in Las Vegas. Spencer Pinter of Colliers International represented the lessee. Greg Pancirov and Mike De Lew of Colliers International represented the lessor, DC 3 LLC. ▶  BKM Patrick 102 LLC signed two leases for industrial space in its building at 2925 Patrick Ln. in Las Vegas. Bubble Run LLC and Knick Knack Paddiwacks Inc. each took 1,728 square feet. Dan Doherty, Susan Borst, Chris Lane and Jerry Doty of Colliers International represented the lessor. ▶  LV310 Distributors Inc. leased 5,929 square feet of industrial space at 6125 S. Valley View Blvd., Suite C, in Las Vegas. Spencer Pinter of Colliers International represented the lessor, Valley View IV LLC. ▶  Stemtech Healthsciences Corp. leased 4,800 square feet of industrial space at 6225 S. Valley View Blvd., Suite J, in Las Vegas. Tom Naseef of Colliers International represented the lessee. Spencer Pinter of Colliers International represented the lessor, Valley View I, II &III LLC. ▶  2 Men And A Truck leased 1,944 square feet of industrial space at 3255 Pepper Lane, Suite 108, in Las Vegas. Eric Molfetta of Colliers International represented the lessee. ▶  Immunize Nevada leased 1,219 square feet of office space at 1050 E. Flamingo Rd., Suite E-225, in Las Vegas. Chris Connell of Colliers International represented the lessor, FKC Flamingo LLC. ▶  4G4Rent.com leased 1,067 square feet of office space at 2920 N. Green Valley Pkwy, Building 2, in Henderson. Renae Russo of Colliers International represented the lessor, Dyer JL LLC / Juan Moreno. ▶  Transition Services, Inc. has renewed its lease on 3,570 square feet of industrial space in the Mountain Point Business Park at 4545 Spring Mountain Road, Suite 111, Las Vegas. The 36-month deal is valued at $123,700. Chris Emanuel and Jessica Saldana of Virtus Commercial represented the lessor, Mountain Point, LLC. ▶  Katherine A. Huit dba Beach Pizza renewed a lease on 1,200 square feet of retail space in Sea Breeze Village, 1780 N. Buffalo Drive, Suite 109, Las Vegas. The 36-month deal is valued at $86,400. Chris Emanuel and Kammy Bridge of Virtus Commercial represented the lessor, New Deal-Seabreeze LLC.